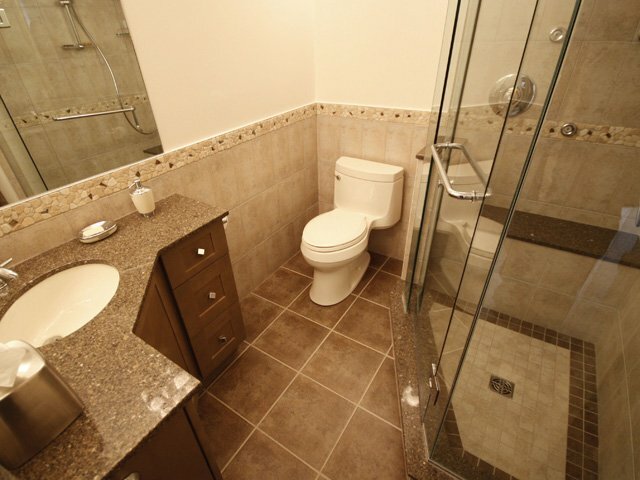 Investing in a bathroom renovation will increase your quality of life and have a positive impact on your property’s value. Entrust Aqua-Tech to completely transform your bathroom into your definition of true luxury. A well-designed bathroom can add significant value to your home and provide you with an incredible sanctuary to enjoy every day. Download this FREE ebook to learn about the latest in bathrooms! When it’s time for a bathroom upgrade, don’t choose between function and luxury—get exactly what you want without compromising on style, features or finishes. 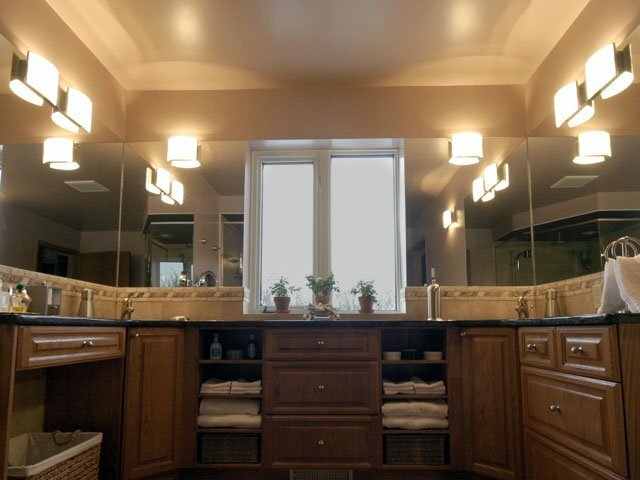 When you choose Aqua-Tech, you’ll get a renovation partner who offers the best selection of fixtures, the highest quality work and has decades of experience designing and installing beautiful, custom bathrooms. 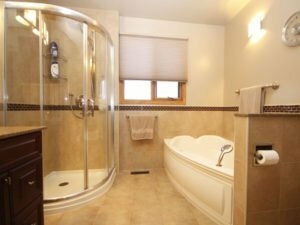 Aqua-Tech is the leader for Winnipeg residents who want their renovations to result not just in a new bathroom, but a room that’s transformed into the most stunning in their home. A typical bathroom renovation is not an insignificant investment so you want to be certain you’re working with the right team. Choosing Aqua-Tech results in a stress-free process. We take care of every aspect of the project from start to finish, not only helping you establish the interior design direction but ensuring your new bathroom is freshly painted, sparkling clean and ready for you to enjoy. Our team will work within your budget while simultaneously managing the entire process so you’ll only need one point of contact. 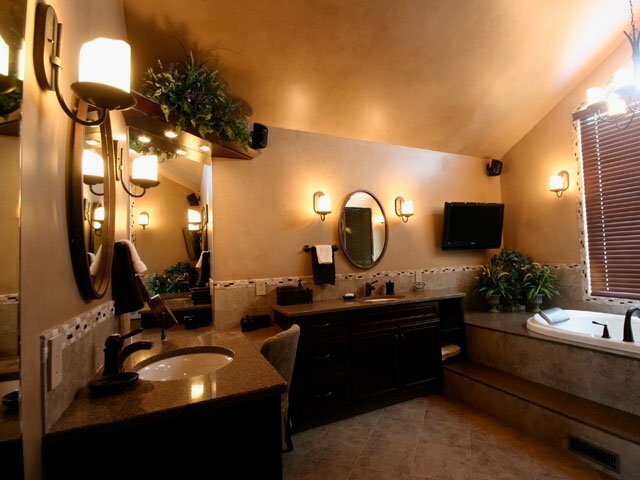 When our work is done you’ll simply be able to enjoy a beautiful bathroom. To begin your journey towards an incredible bathroom, you’ll find more inspiration that you could have imagined in our showroom. We’ve built over a dozen fully functional vignettes to help you identify what you’d like to include in your renovation. You might even discover possibilities that you didn’t even know existed! You can arrange for a guided tour of our showroom, allowing you to discuss your plans in detail with one of our consultants while learning about the options only Aqua-Tech can offer. 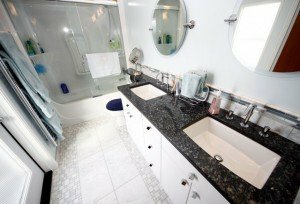 When it’s time for the work in your home to begin, you’ll appreciate that Aqua-Tech’s highly experienced team has been installing bathrooms for decades. Unlike working with a range of different contractors, or doing it yourself, Aqua-Tech’s team manages the entire project for you with our Project Manager as your one point of contact—an offer that you can’t find anywhere else in Winnipeg. Our expert bath design consultant supports you in choosing materials and creating the design; our project manager oversees the entire project; our skilled team of installers completes the renovation work including any custom features; and Aqua-Tech’s electrician takes care of any electrical work. Regardless of design, budget or features, the entire team works together to produce results you’ll love for years to come. When you want to create a better place to come home to, you won’t find a more luxurious result than a renovated bathroom from Aqua-Tech. Call us today to discover how we can help you. 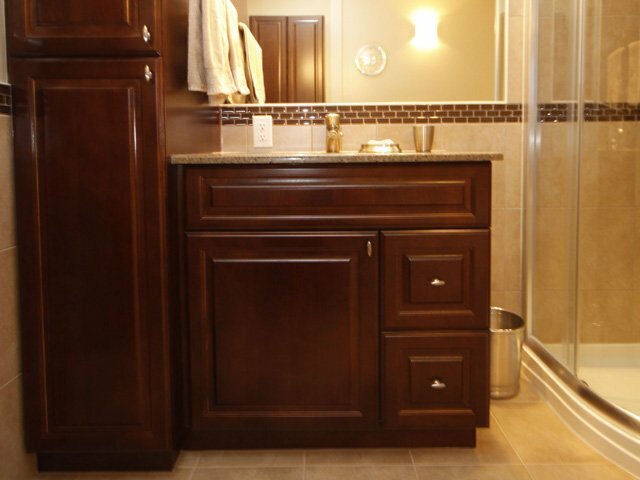 Take advantage of Aqua-Tech’s skilled in-house team to bring your bathroom vision to life. Rely on the expertise of Aqua-Tech’s very own expert Bath Design Consultant to transform your bathroom.